If a road is dangerous or in poor condition, it needs to be fixed. Construction is a necessary part of keeping roads safe, but construction sites can become just as dangerous as a bad road. If a sign or cone is misplaced, drivers may not know how to safely navigate the construction. Debris can also pose a threat by littering the roadway, making it just as risky as the damaged street. Misplaced barrels and poor lighting can make a routine drive dangerous. If these zones are not kept safe, they can cause accidents. Certain road construction safety laws are in place to protect drivers, but they are not always followed. Machinery and debris on the road are also hazards. There are road construction safety laws that are supposed to protect drivers, but they are not always followed. 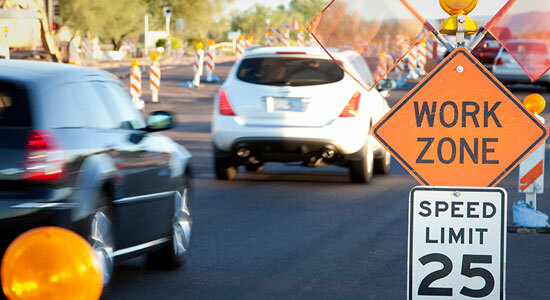 If you were in work zone car accident, you may feel overwhelmed. You wanted to get through the construction safely, but with so much going on, it can be awfully confusing. You may not be sure whose fault your accident is. If any of this sounds familiar, contact our law firm today. You may have a case. Whether you were injured because of a human error, poor road design, or confusing signage, you must act fast. When filing a claim against a local government in PA or the state of Pennsylvania, you must notify them in writing within six months from the date the accident happened. Your pain and suffering are more than enough for you to worry about – let us take care of the rest. And remember, there's never a fee unless we get money for you.